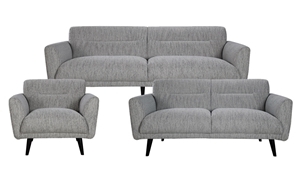 Take home a top-quality, trendy piece for your living room or den with the Locke apartment-size sofa. 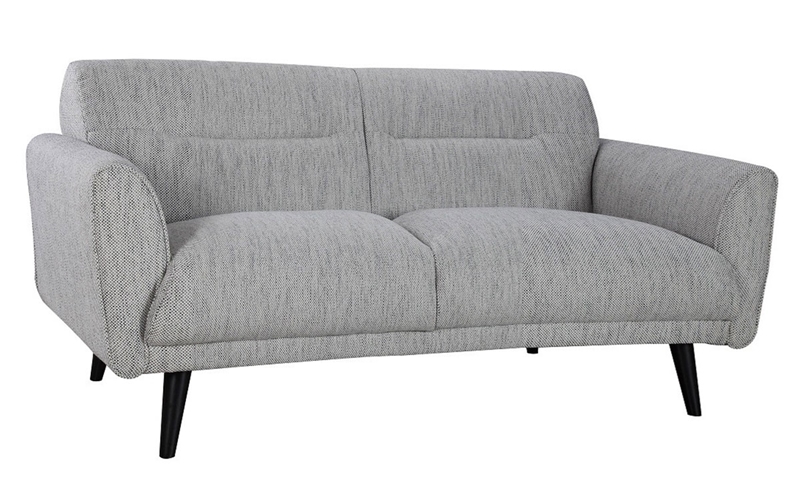 Don’t be fooled by its angular silhouette: While masterfully crafted with a fully-padded, kiln-dried hardwood frame and deep wrapped coil seating, this 64-inch contemporary couch is just as comfortable as it is durable. 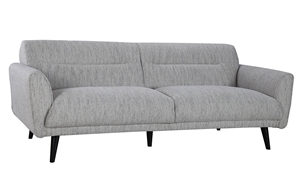 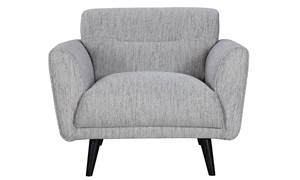 Its tight back and attached cushions allow for fuss-free lounging, while this sofa’s welted flare arms, horizontal tufting, flared solid wood feet and heathered gray upholstery combine to create one versatile, mid-century modern-inspired look for your condo and other small spaces.